Several of our pattern testers recently posted photos of their finished fall garments to the Flickr group, and we thought you might like a peek at them for some additional inspiration. 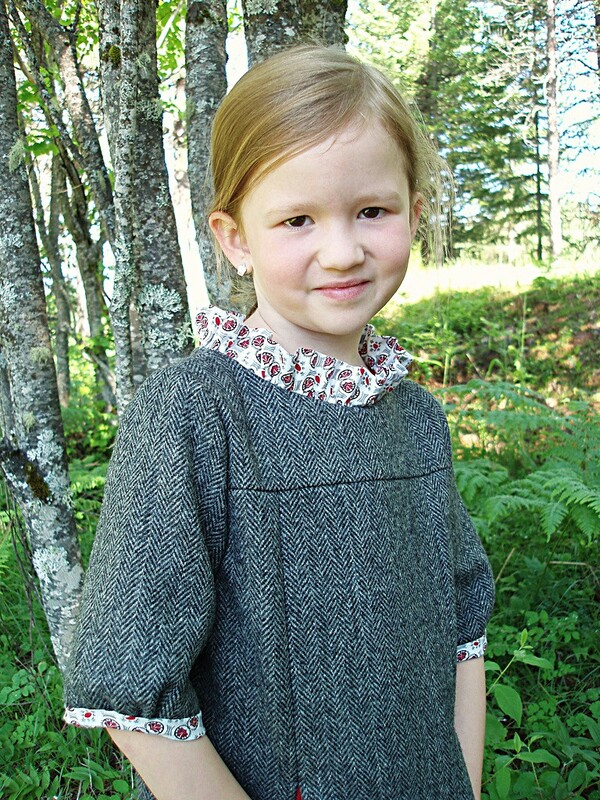 A few Hopscotch skirts and knit tops, to get you started. This Hopscotch knit top was sewn by TribecaYummyMummy, who tested the pattern for us earlier this summer. This is one of the polka dot interlocks from our upcoming City Weekend fabric collection. 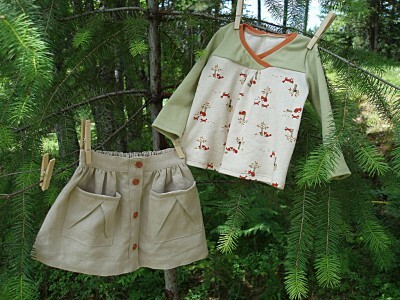 And check out the coordinating Hopscotch skirt, made with Heather Ross’s Far Far Away II. 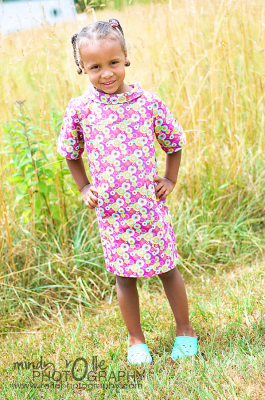 Here is another Hopscotch top and skirt, made by April. I love the neutral palette and pops of orange she picked up from the print and carried through on the neck trim and the skirt buttons. 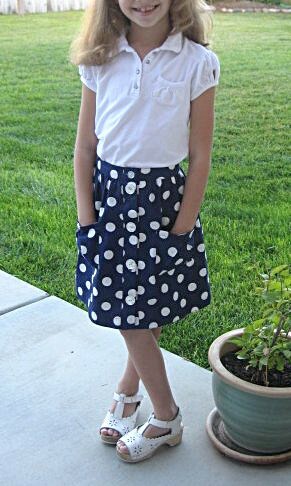 And one more Hopscotch skirt, sewn by Karen, another one of our reliable and dedicated testers. A few School Photo dresses have also popped up. This one was made by Gail, who tested the pattern and is also one of our Boutique Sewer participants. (By the way, Gail says this is her favorite Oliver + S pattern ever.). And one more adorable School Photo dress, View A sewn by Katy Dill. 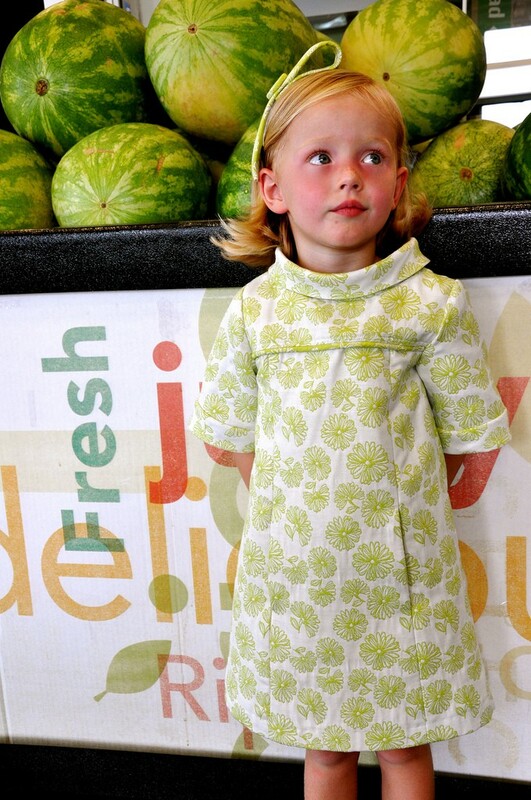 Visit her blog to see a second version of the dress (View B) and for a chance to win a copy of the pattern. So there you have it: a little additional sewing inspiration. Now, go have fun! I can’t wait to see what you make with the new patterns. Oh wow. I LOVE the school photo dress. I can’t wait to make one for my daughter. And I would love to make one for myself as well! Oh how lovely!! I love the classic look of these outfits. Very beautiful dresses! 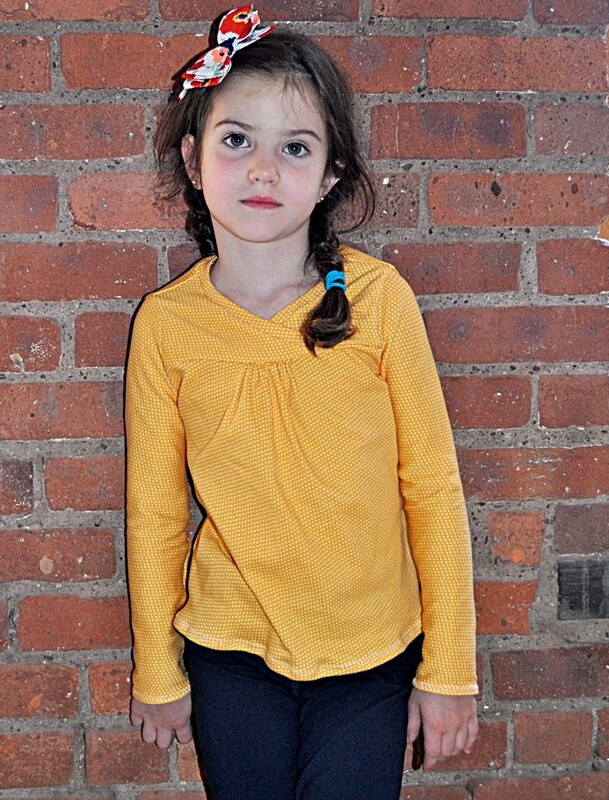 April’s school photo dress in the wool herringbone is beyond gorgeous. I love it! Great samples – I enjoy seeing all the creations from the Testers! Regarding the wool – the only thing that is ‘scratchy’ is the inside sleeve seam. I am going to remedy it by adding bias for a bound seam for fall and winter wear. I also stitched an ‘underlining’ for the sleeve piece so there was no exposure of wool to the skin. I initially tried to top-stitch the front yoke seam by edge-stitching but the herringbone caused an optical illusion and made the stitching line look crooked so I took it out. The wool was heavy enough that I think it still draped fine. I look forward to sewing from this pattern again! I thought I might bind that seam ,like the Sunday brunch jacket, to keep the inside nice and neat !